Obviously a tweet about National Onion Ring Day will catch the attention of any true American and we at Visit Stillwater are no exception. 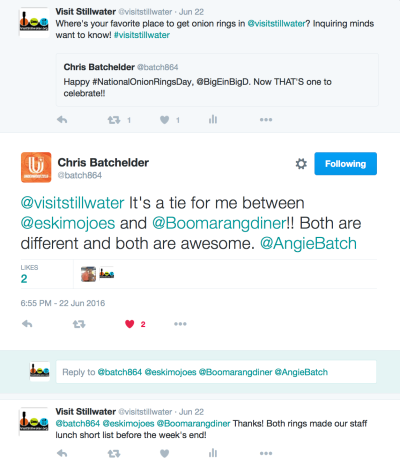 Yesterday, Oklahoma State Alumni Association President and CEO, Chris Batchelder, reminded his followers to celebrate, claiming the famous Eskimo Joe’s and Boomarang as his local favorites. 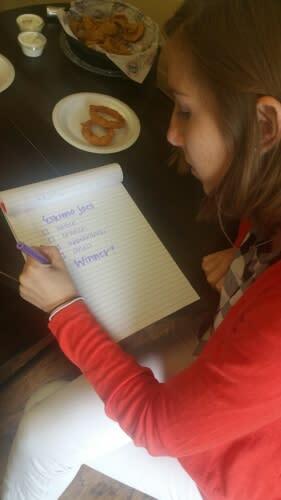 “This is important”, claimed Visit Stillwater’s Vice President, Kylie Vincent in passing during the wee afternoon hours of National Onion Ring Day. So we decided to snag a to-go order for Friday’s lunch and help Batch determine a winner using our clearly superior analytical methods. After all, he’s a busy man and we are here to help. I didn’t want to jump to any conclusions, but I picked them up and I have to say, on smell alone, Boomarang killed it. 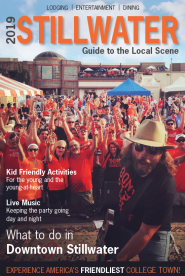 But there’s something about Eskimo Joe’s atmosphere that jives so well with the way their food tastes across the board – especially the onion rings. So if you’re looking for an onion ring experience that includes a cold beer and richly battered rings that highlight the sweetness of the onion – Joe’s is your joint. 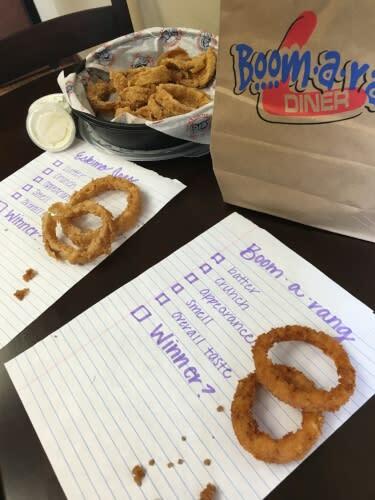 On taste alone – and to make a meal of only onion rings – I think my pick has to go to Boomarang. I am a crunch person, what can I say? The video speaks for itself. Kylie’s pick ended up being Joe’s. I think the onion flavor being the stand-out element, where the batter dominated in Boomarang’s, was important to her. Also, ranch dressing is a prime way to get on her good side. Her break down is on-point and we think she did a delectable job. All in all, both clearly had strengths and weaknesses and it’s going to come down to what you’re looking for exactly. And really, there shouldn’t be any complaints if served a plate from either Stillwater dive.